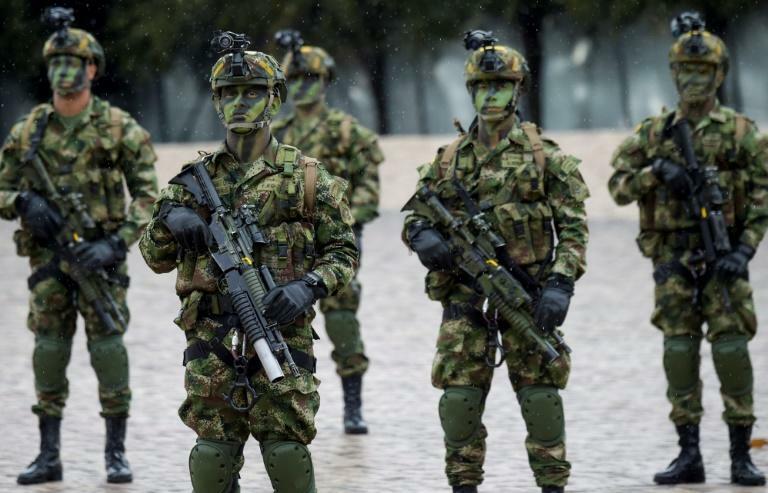 Colombian armed forces killed "the most dangerous" dissident guerrilla from now-disbanded Marxist rebels FARC on Saturday in the drug violence-infested jungle area on the border with Ecuador, the government said. Victor David Segura had been identified by President Ivan Duque as "the dissidents' main ringleader." Segura was "the most dangerous ringleader in the Pacific... today we've dealt a blow and we're showing that all these criminals feel stalked by the state," said Duque. Segura was "responsible for drug-trafficking, murders, extortion, forced displacement, kidnappings," Duque wrote on Twitter. He said Segura's sister was also a high-ranking rebel operative. Segura had been involved in a bloody dispute over the lucrative drug trade with another well-known dissident, Walther Arizala, who goes by the alias "Gaucho," and accused of being behind the murders of an Ecuadoran press team kidnapped in March. The warring rebels each have links to a powerful Mexican drug cartel -- namely the Jalisco New Generation and Sinaloa cartels -- according to the Peace and Reconciliation Foundation. Colombia is the world's biggest producer of cocaine, made from coca leaf, much of which is destined for the US market. Meanwhile, Duque said that he would not resume peace talks with ELN leftist rebels until that guerrilla group releases all its remaining hostages. "Until that premise is fulfilled, we will not designate anyone to sit around the (negotiating) table," said Duque. The government claims the ELN is holding at least 17 hostages, some of them from the police and military. Duque had set a September 7 deadline to decide whether or not to restart talks put on hold a month ago when he took over from Juan Manuel Santos, who won the Nobel Peace Prize over the FARC deal. Since then, the ELN, which has around 1,500 fighters, has been the last remaining recognized rebel group fighting authorities in the country.